All the red glazed work I'll be bringing to Louisville will be over porcelain for the first time. I'm liking the results. 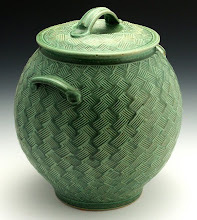 It lowers the firing temperature by at least a cone and the surfaces are wonderful to the touch. Some of the newer pieces I'll be bringing with me. Yes, it's a long reminiscence. But hey, it's Sunday, and you've got nothing better to do, right? I was sitting at my wheel reminiscing, not for the first time, on the most memorable moments I’ve witnessed in sports. What got me thinking again about these moments was a recent youtube jag – a few hours going through video I’d not seen, sometimes in more than twenty years. There are youtubes of Maravich, Dr J, The Iceman (Gervin, not Butler – though there’s youtube of Butler too. His was the definitive “Make It Easy On Yourself”). There are snapshots of “The Catch” by Mayes. Some of the greatest collective memories we share of sports are on youtube now. But those aren’t actually my most memorable sports moments. And I’m guessing that if you’re a sports fan – and even more likely if you were/are an athlete, those big-time events aren’t your most memorable sports moments either. As a sophomore in college I watched our freshman team playing against Goshen College in what turned out to be the most lopsided officiating I had ever seen, or most probably will ever again see in a game of basketball. With more than two minutes left in the game, five of our nine players were fouled out of the game (while none of the Goshen players ended up with even three personal fouls). But the cool thing – what made the moment memorable – was watching the four players left on the floor still pull off the win as Kurt Heingartner (Kurt, Kurt, we treat him like dirt) caught fire and couldn’t be stopped – even with a double-team. One time down he’d drain an 18-footer. And the next time down, his already convincing head fake would leave two opposing players shorts on the floor as he’d feign the 18 and drive to the rim. The four-against-five finish was the ultimate for a sports underdog lover. Another of my most memorable sports moments came when I was playing high school soccer.Our team wasn’t very good. Oh, we actually went undefeated in our league, but back then nobody was playing soccer except for the private schools. Private schools (like the one I attended) picked up the fall sport because, being small and under funded, football was out of the financial picture. Again, we weren’t good, we were merely the best of a very lousy league. The team was mostly pieced together out of mismatched athletes from the other sports. Most of us didn’t even know how to properly kick a soccer ball. And we certainly didn’t play any kind of a control game. Our offense consisted of blasting the ball down the field (that “blasting” almost always being a toe-kick that floated upward with backspin) and then trying to outrun the opposing players to get a shot at the goal. But that mediocrity didn’t mean that our brand of soccer couldn’t make for some memorable moments. And the one I’m recalling started with a hand ball called near midfield. With the penalty kick set about 60 yards from the goal, our midfield man, Keith Volstad, toed a floater toward that goal. The ball had more backspin than a Tiger Woods wedge shot. Time seemed suspended as the ball hovered over the backs of our own front line…then over the “wall” of defenders standing about 20-25 yards out from the goal and covering the line between Keith and the goal. Finally, gravity had its way, and the ball came easing downward directly toward the backpedaling goalie. The perception of a suspension of time through the whole slowly floating kick continued through the delayed response as it took a l-o-n-g moment before both teams, the crowd, the goalie, Keith, and finally the referee realized that that backpedaling goalie had been so mesmerized by the lazy floater that he’d backpedaled himself all the way into the goal to catch the ball. When the ref finally raised his arms and shouted “GOAL”, the delayed crowd response was as much laughter as cheering. But perhaps my most memorable sports moment was watching Billy Baker. Billy was the embodiment of a perfect marriage between art and athletics. To watch Billy play basketball was a thing of beauty. Billy played for our Indianapolis city rival Park Tudor. Small school notwithstanding, Billy was probably one of the best basketball players in the State. He was certainly the most fun to watch. Billy stood only 5’7” but he could dunk a basketball. And his movements were mercurial – not just mercurial in his quickness, but also mercurial in his incredible fluidity. He honest to god looked like a dancer out on the court. There’s just no other way to describe it. I loved to play Park Tudor because I loved watching Billy Baker. And though I loved watching Billy play basketball generally, the specific most memorable moment I’m talking about came one summer when I was a “junior counselor” with Billy at Taylor Basketball Camp in Upland, IN. When a camper reached 13 or 14 (I can’t remember the cut-off) they no longer had summer camp for us back then. As I remember, it had to do with high school eligibility. Back then eligibility didn’t allow for organized camp for potential high school players. But the camp allowed a dozen or so “junior counselors” to come for those weeks. We’d work in the concession stand pouring sodas for the campers. In return we got to sit in on the clinics with visiting sports stars. And it was at one of those clinics that the moment occurred. The visiting stars were Dave and Billy Shepherd. They were brothers who starred at Carmel High School, each in their respective year being named Indiana’s “Mr Basketball”. Dave went on to play at Butler U and Billy played at IU and later with the Indiana Pacers. Diminutive 14-15 year old Billy Baker stepped somewhat shyly onto the court and shook the graciously offered hands of the two future Hoosier Basketball Hall of Famers. Then, for the next five minutes he proceeded to take the Shepherd brothers apart. The Shepherd brothers couldn’t herd Baker for love or money. He’d go around them before they could even plant. He’d split them. He’d stutter-step and leave them flat-footed.In the end, the Shepherds ended up laughing themselves silly…and everyone in the gym did the same. 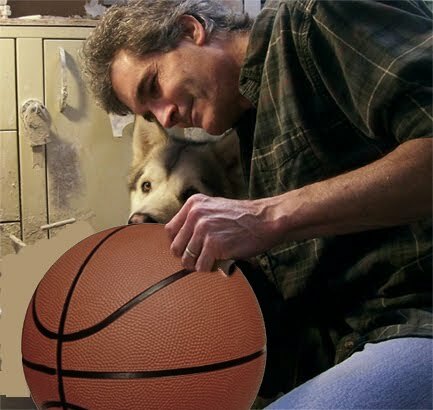 Upon this reminiscing, I decided to get up from the wheel, walk over to the computer and see if I couldn’t figure out whatever happened to Billy Baker. I had heard that he went from high school to Brown University. Armed with that info, I began my googling. Billy was one of the nation’s foremost physicians addressing the high incidence of prostate cancer and mortality in African-American men. He founded the African-American Prostate Cancer Initiative and did extensive research in prostate cancer, being especially interested in discovering why this form of cancer affects more African-American males. He took the front line in fighting the deadly disease through academic research, community education, outreach and support. Obviously, Billy was exceptional in more ways than athletically. I never knew Billy beyond playing opposite him in basketball and baseball, but I sure felt my mortality, and a terrible sense of loss when I read further that Billy died in a boating accident three years ago. 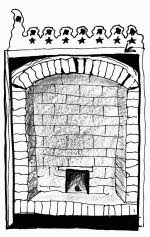 There is the analytical type who views his/her kiln(s) merely as a tool, and whose firing approach reflects this concrete, rational, scientific approach. My friend Tom is this way. 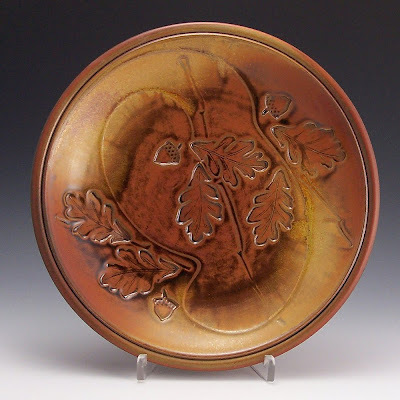 He’s famously methodical in his approach to his kiln and to firing it. I’ve had a mutual friend tell me that Tom can fire his gas kiln to within less than half-a-cone’s difference anywhere in the box. Amazing. And, like the methodical craftsman that Tom is, the structure of his kiln could most likely be entered into a competition and be displayed as a work of ceramic art on its own merits. The guy must have killed at LEGO as a kid. These analytical guys chart every firing, log the temperature, the atmosphere, where the pots are loaded, even the weather of the day. 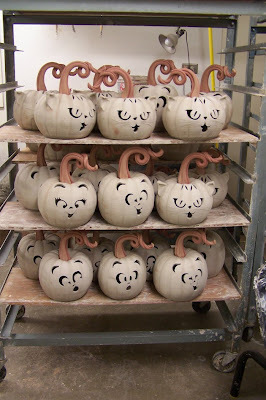 The last thing they want is a surprise coming out of the kiln. They are applied science personified. I fall into a distinctly “other” camp. Oh, back in my school days I loved the sciences too. But I think I enjoyed them more like, for instance, I enjoy my wife. I enjoy her difference from me. I like that she sorta turns left where I turn right. I like that she’s blonde while I am black-haired. Stop laughing. I used to be black-haired. And if I EVER understood her – ever climbed over that insurmountable mountain of “mystique”, our relationship would probably wobble out of the already crazy orbit that keeps it vital. I like where teaching science meets story-telling. The “You’re NOT going to believe this, but…” aspect of scientific discovery. But ask me to work my way through a dry manual or page after page of formulas and I’ll act like I didn’t hear you. I’m sorry. Did you just say something? My kiln is different. Oh, it’s part tool, no doubt about that. Realities of life don’t let me get too far from the fact that every dollar that I make in this life starts as a pot that came through that kiln’s fires. 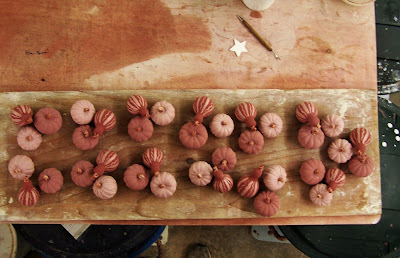 One day, after a particularly good firing, I noticed that a hand-rolled bead that my wife had made had rolled out of its firing container and had come to rest directly in the middle of the kiln’s flue. I left it there. I left it there for at least ten years. Ten very productive years. With each good firing I found myself less and less able to remove that bead. 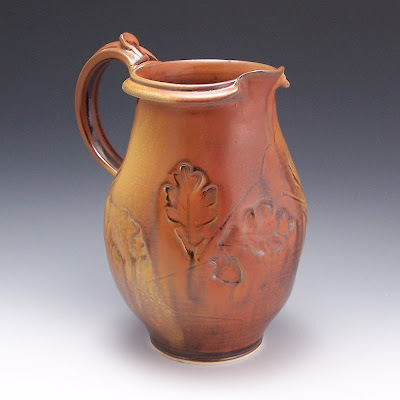 Do I believe that the string of good years’ worth of firings are directly connected to the presence of that charm in the flue of my kiln? Of course not. But why, y’know, tempt fate? The house I live in was masterfully built by craftsmen of the 19th century. It’s a marvel of ceramic work itself – an Italianate style brick edifice with nicely balanced lines and facades that magically create the illusion of a size that is not there. A majestic place. Somewhere along the middle of the 20th century, the owners of the place finally had to repair the cedar roof. When they did, they replaced it with a metal roof. Again, craftsmen who could have been strictly functionally minded – could have assumed the attitude that as long as the roof worked – kept out the rain –that would be enough. But they didn’t. Some anonymous craftsman of the ‘30s or ‘40s decided that such a majestic old place required more than just function. So when he capped the top ridge of my house, he did so with forty feet of ridge cap that was double-folded over, scalloped and pierced through every linear six inches with star and clover charms. When I found myself, sixty years later having to replace that no longer functioning metal roof, I just knew that fate had made me steward to the continuum of the craftsman’s caring obsession. It was up to me to carry it on. So now a four foot section of that ridge cap sets atop my kiln. It’s part charm. And it’s part constant reminder that the happy man never stops at mere function. 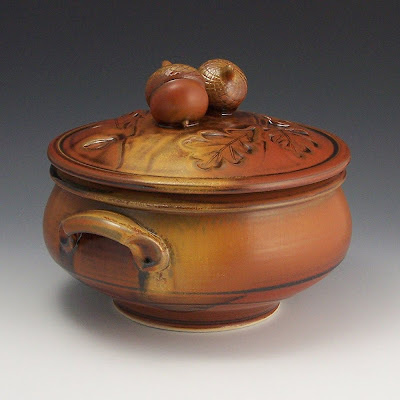 I also share life with my kiln in the same manner I might spend time with a friend. We have our friendly rituals, the two of us. Some good times, some tough times. 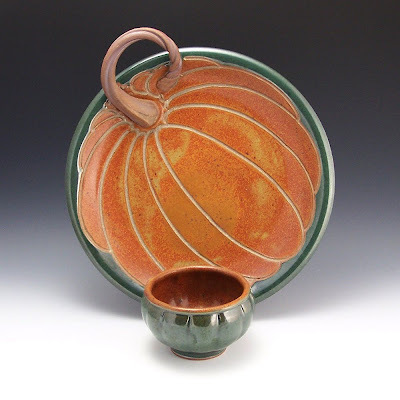 The kiln and I mark the seasonal changes in the same way, year after year after year. It’s now been nearly twenty years with this kiln warming my back and hands through late night December firings. I’ve spent countless hours watching the stars and moon in the clear, cold winter sky – the heat of the kiln warming my back while my nose hairs bristle with each cold inhale. And Springtime after Springtime I burn off the stinky mouse nests that have accumulated as I spend a few winter months at the wheel, dodging the worst of the natural gas prices by not firing ‘til closer to the start of the show season. And in the Summers the door to the kiln room remains open wide, a fan under which I have to duck hanging from the door frame, sending hot exhaust outward so the room is tolerable enough to walk into long enough to check the cones. Then comes the blessed cool of the Autumn again. 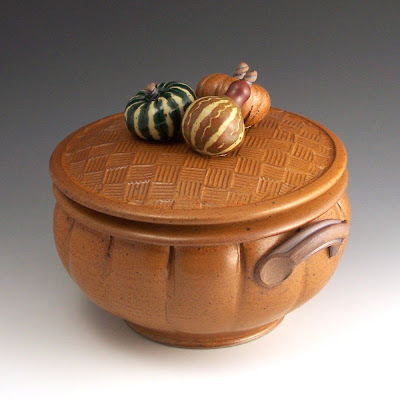 And I almost never start a firing in the fall without first burning a small pile of dry maple leaves that blow into the bottom of the kiln, just so I can smell burning leaves – the aroma transporting me back to every past autumn of my life. 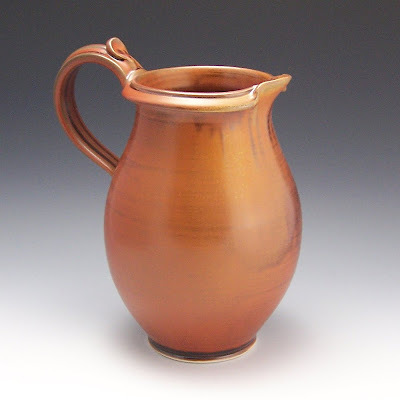 A potter lives with a kiln in a manner unlike any other tool I can think of. It can be such a constant thing to tend a kiln – every hour -- or even more often -- looking in on it, adjusting, judging where it is or whether it’s done or not. And the weather can suddenly change everything. A low pressure front can slow it to a crawl. Ironically, the coldest days are so oxygen-laden that it’s a constant watch to make sure the temperature doesn’t run away from me. And there’s the heart-pounding start that occurs every day that I'm not firing … but forget that I'm not firing. OH MY GOD! I FORGOT THE KIl... ...oh yeah, I’m not firing today. I think I come by my kiln fears honestly. 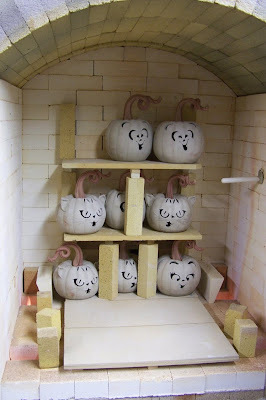 With my first kiln I burned down my shop. In the middle of the night the neighbors came banging on my doors and windows shouting that my shop was ablaze. Nearly thirty years later and I haven’t slept naked since. Trying to step into trousers in the dark while the shop is on fire with a propane tank leaning against it will leave an impression. The old kiln’s not looking so good these days. I’ve lost track of the number of firings we’ve done together. It’s a small kiln, so I’ve been known to go through a busy stretch of season (like right before Ann Arbor Art Fair) firing up to sixteen days in a row. I have figured out that I’ve fired at least 1.5 million dollars worth of pottery in that little kiln. It’s served me well. Been a good friend. 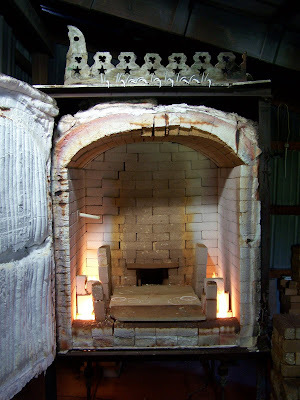 I built a new kiln a few years back. The new kiln is still just the bisque kiln. Still just a tool. It’s in the on deck circle. Some day the old one will fire its last load. Maybe then I’ll start some rituals and find a charm or two for new kiln. I think I’ll know what to do when that time comes ‘round. The new one will tell me just like the old one did. Why is Superman depicted as muscular? Doesn't he just derive his super strength from the fact that he is an alien from outer space? Couldn't he just look like Woody Allen or something equally non-muscular and still maintain his super strength? 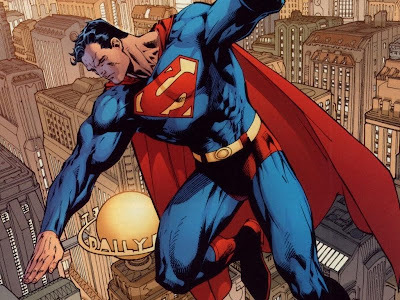 I mean, the comic book writers already threw out the principles of physics -- of leverage and notions that at least hinted of physical strength when they had Superman go from "leaping tall buildings in a single bound" to actually flying. Flying isn't a strength thing. And yet they never even really try to explain the forward and upward thrust. Superman just went from jumping to levitating and the writers didn't even bother to tell you, the reader, how. From the moment a science fiction book or movie comes out, the immediate response is to pick apart the impossibilities inherent in the science of the fiction. Yet Superman gets a pass? Heck, even if his skin is impervious to bullets, wouldn't he still be pushed back at least a little by the impact of a projectile fired from a high-powered rifle? The answer is obviously, "No". In fact, Superman can stop a speeding train, though a train obviously has the mass and momentum to simply carry Superman along with its forward motion, should he stand in front of it. And I'm no mathematician, but wouldn't a normal man's mass be to a train about the same thing as a large bug would be to an automobile? Are we expected to believe instead that Superman has the same mass as a train? And even then, wouldn't the train's forward momentum cause one hellacious crash if it ran into something of equal mass? And Superman, impervious skin or not, should at least end up in the next county after the impact, no? And if Superman does have this Jupiterian mass, he goes ahead and marries Lois Lane anyway? Are you kidding me? As if the notion of getting carried away in the throes of passion isn't enough to contemplate with a human that can crush a ball bearing between his fingers, now we have to believe that he weighs a few tons? Heck, is there even a comfort setting on a Sleep Number Bed that would allow a superhero with a mass that equals the average 80-car freight train to sleep comfortably? ... much less keep Lois from rolling his way all night as the mattress caves the whole bedroom inward toward him? I am, like, SO TOTALLY in! Finally a chance to show that I'm no empty sock puppet with that wack-job John Bauman with his hand up my, you know, keypad. John Bauman is, like, a TOTAL wack job . But he's not mean or grumpy. Mostly anyway. He dances. And, like, TOTALLY not well. It is COMPLETELY embarrassing for I and Ariel (my sister). Some day someone is going to catch him dancing and, like, I will be mortified. And then I will get over it. Chicken is like my most favorite thing EVER. Did I say "EVER" ? ... yes I did. And that is because it is EVER. Chicken is one of many things that are made out of meat. But for now, Dar is fixing a most excellent dinner and it involves searing BEEF ! And searing BEEF means that I will get a pan scraped over my food . . . and edges of the actual BEEF. I can almost feel a belch coming on . . . and I haven't even eaten yet . Maybe I will post a review of my dinner tomorrow. Or maybe I will just lay in the yard and watch the whistle pig that moved in next door. It's a good way to pass a lazy day. But this talk of meat and stuff, great as it is, is not what I sussed John Bauman's password and logged onto this blog for. No, I logged on to brag and stuff. I and Dar just had a totally awesome day at an agility trial. 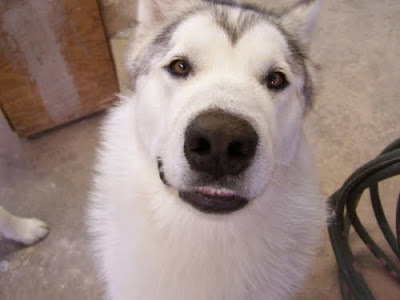 Agility is, like, obstacle courses for dogs in which we drag people around and over and through and stuff. I zoomed. Like, a total blur that defied camera shutter speed. And I scored a 200. Ask me what a perfect score is. Go ahead, ask me ... Okay , I will tell you. It's 200. Which is, coincidentally, exactly what I scored and stuff. Ask me what H.I.T. stands for. Go ahead, ask me. Okay, I'll tell you. It stands for High In Trial. 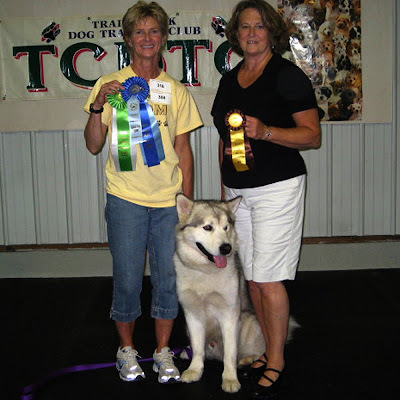 Which means that out of all the dogs at the trial, I scored, like, totally fastest and best. I only subscribe to " BARK " Magazine. It has, like, totally righteous scratch'n'sniff dog food ads. I and John Bauman drink the same beer. John Bauman, however, does not know this. 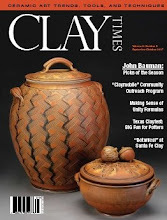 A while back I had a fairly large slug of clay (about 6 pounds as I recall) centered on my wheel. Everything seemed normal. But as I started pulling up and thinning the walls of the pot, I noticed a wobble beginning to develop. As I continued to work the wall of the pot thin enough, I came to realized that the lump that was causing the wobble wasn't an irregular hard chunk of clay (a fairly common occurrence) -- no, it was a pan head machine screw. I don't know how that screw got into the clay. My pug mill (a machine that I have that processes my clay) has a screen that is of fine enough mesh that I can't see how that machine screw passed through it. Anyway, I threw the screw into the nearest trash can, finished throwing that pot (wobble corrected), and completed a day's throwing of several more. I closed up shop for the night, went in and ate dinner, had a beer, and watched an IU basketball game. Then, just as I was getting ready for bed, it struck me that something just wasn't right. I pulled my pants back on and dragged myself back out to the shop and fished the machine screw out of the trash can (no small sacrifice, as I had to dodge a paper towel used for an unpleasant clean-up that had occurred earlier that day --- a hairball incident involving our shop cat "the Diddiot"). Once I fished out the machine screw, I searched through my old coffee cans full of used nuts and bolts until I finally found a nut that threaded neatly onto the machine screw's threads. Then I threw the machine screw (secured with its nut) away. Nobody wants to die with their calling unfulfilled.